Candies are relished by almost everyone irrespective of age groups. 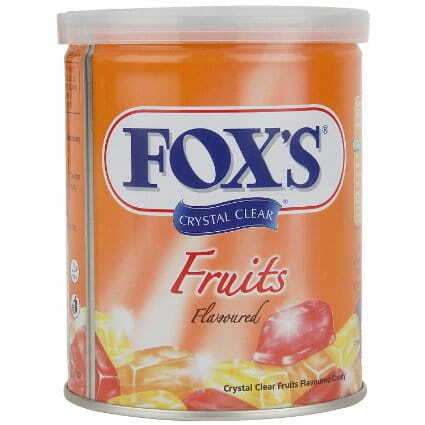 Fox’s fruits tin is made in Indonesia; providing a different form of candies. Nestle Fox’s crystal clear fruit candies are packed fancifully in a premium air tight tin box. It is filled with different shaped fruity candies ready to fill one’s mouth with thick sweet juicy flavor. Being an international quality candy, it is purely made of fruit and can be consumed by vegetarians too. It is obvious that we may find different varieties of candies in different stores near our house, but this specific variety is not available everywhere. Its taste is beyond any description and is unbeatable by any other candy. One must taste it to distinguish it from other candies. So hurry up people! You can order Fox’s fruits tin engrossed with succulent candies with www.foodfeasta.com and enjoy them with your loved and dear ones. Your order will reach right at your home .